Yaquina Head Outstanding Natural Area is a narrow, coastal headland extending one mile into the Pacific Ocean. Managed by the Bureau of Land Management, Yaquina Head offers a variety of recreational and educational opportunities. 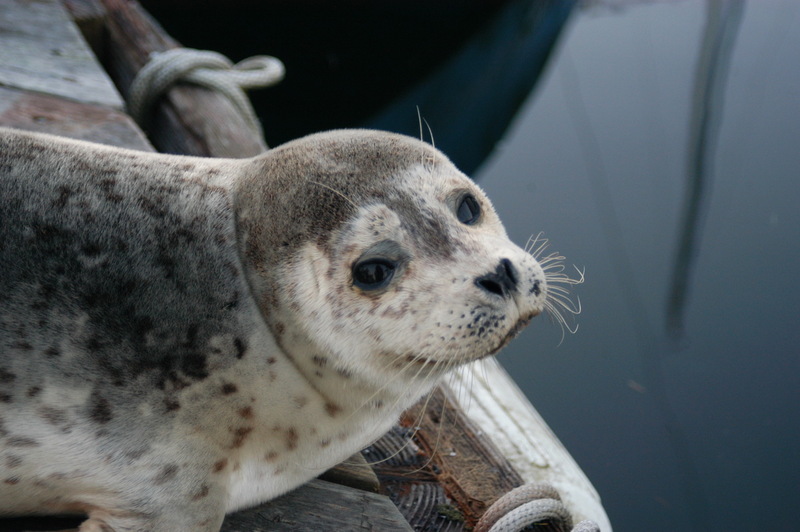 While visiting the 100-acre park, you can tour a historic lighthouse, explore tide pools, and see a variety of marine mammals and seabirds! A $7 per vehicle day use pass is required (good for three days). The park also accepts federal park passes and Oregon Pacific Coast Passports. 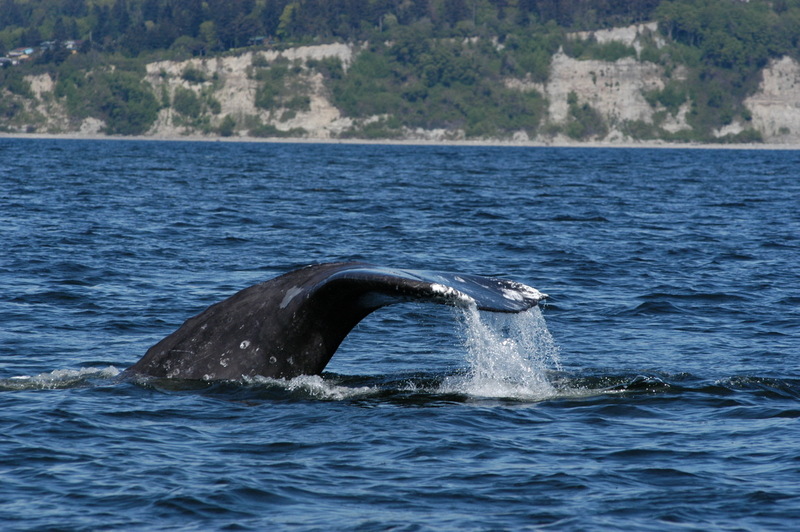 Whales are most commonly seen near the end of the headland. Two observation decks, one above Cobble Beach and the other just west of the Lighthouse, are great places to scan the horizon and search for whale spouts. Migrating whales are seen further offshore. Summer “resident” whales can oftentimes be seen feeding very close to shore, especially during August and September. Whale Watching Spoken Here’ volunteers are usually in the park during Winter and Spring breaks. Yaquina Head is located just three miles north of Newport just off of Highway 101. From the south, drive through town and turn left onto Lighthouse Drive and follow road approximately 1/4 of a mile to the entrance station. From the north, approximately 1/2 of a mile after passing the Newport city limit sign, turn right onto Lighthouse Drive and follow road approximately 1/4 of a mile to the entrance station.